Satellites today contain highly complex embedded microelectronics systems complete with processing, data storage, and data receiving/transmitting capabilities. Further, they are controlled by ground stations, computers in data centers. They are therefore susceptible to threats prevalent in cloud computing architectures including insider threats, malicious downloads, etc. 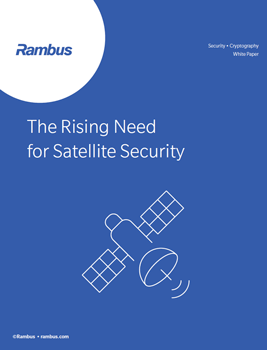 As such, satellite security must include access control to grant access to system resources only to authorized users, authentication to verify the identity of a user or device, Availability to assure that a system will be usable when it needs to be, confidentiality to ensure that data is disclosed only to authorized systems or users, data integrity to ensure that data transmitted from a source is not modified, altered, or destroyed, and accountability to ensure that the system actions are logged with the identity of the entity initiating the action and the data and time the action occurred. Fill out the form to download this white paper.